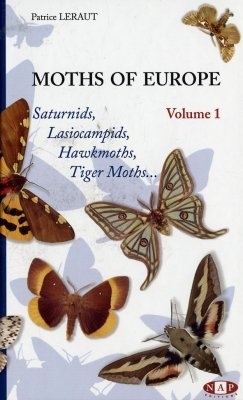 The first in a series of identification volumes that fill a large gap in the literature. Covers more than 500 species from the families Arctiidae, Sphingidae, Lasiocampidae, Saturniidae, Endromidae, Lemoniidae, Bombycidae, Drepanidae, Axiidae, Limacodidae, Notodontidae, Lymantriidae, Brahmaeidae, Castniidae, Heterogynidae, Cossidae, Hepialidae, Somabrachyidae, Thyrididae and Psychidae. 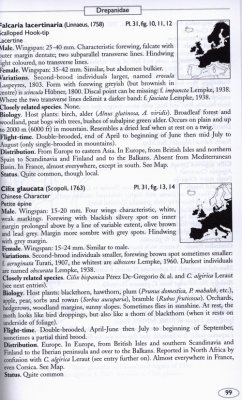 3 new species are described. 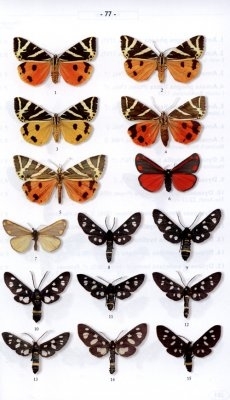 All species are represented by colour photos; detailed descriptions of male and female, variations, related species, host plants and habitat, flight time, distribution and status; distribution map.